Editor’s Note: On November 15, 2018, #NatSecGirlSquad hosted a conference in Washington D.C. at the International Institute for Strategic Studies. Over the coming months Divergent Options, as a partner for this event, will be deviating from our traditional content and publishing a series of white papers in various formats that capture each panel at this event. Mattea Cumoletti is the Fellow for “The Future of U.S. Relations and Security in the Western Hemisphere Panel” at the #NatSecGirlSquad Conference, and she also works on the website. Mattea is a graduate of The Fletcher School of Law and Diplomacy at Tufts University, where she specialized in human security and gender analysis of international affairs. Find her on Twitter @matteacumo. Divergent Options’ content does not contain information of an official nature nor does the content represent the official position of any government, any organization, or any group. Overview: The Western Hemisphere has become an increasingly chaotic microcosm of international threats and geopolitical concerns with global ramifications, but the complex security issues in the region are often misunderstood or overlooked. At the NatSecGirlSquad (NSGS) Conference, experts came together to unpack regional security issues and offer policy solutions for improving the United States’ relationship with Latin America. Dante Disparte, the Chief Executive Officer of Risk Cooperative, moderated the panel, which included Christine Balling, Senior Fellow for Latin American Affairs at the American Foreign Policy Council, Dr. Vanessa Neumann, president of the political risk firm Asymmetrica, and Ana Quintana, Senior Policy Analyst at the Heritage Foundation. The December 2017 U.S. National Security Strategy on the Western Hemisphere emphasizes the importance of shared democratic values and economic interests in the region to reduce threats to common security. As Ana remarked in at the onset of the panel, “the U.S. has a deep and abiding geopolitical interest in seeing a secure, stable, and economically prosperous Western Hemisphere.” However, while Latin America has emerged from decades of dictatorships, familiar challenges remain, and emerging issues are threatening the stability of the region. Overall, political corruption continues to be the source of much of the volatility in Latin America. Authoritarian regimes in Venezuela, Cuba, and Nicaragua, recently dubbed the “Troika of Tyranny” by U.S. National Security Advisor John Bolton, have triggered social upheaval, a pressing humanitarian crisis, and massive migration. The migrant caravan coming from Central America is not only testing U.S. immigration policy, but calling attention to the terrible political and social conditions in the Northern Triangle that motivate desperate people to flee. In Mexico, after the election of the anti-establishment left-wing President Andrés Manuel López Obrador, commonly referred to as AMLO, questions remain about the direction of his agenda. While Colombia has made strides in the peace process with the guerilla group Fuerzas Armadas Revolucionarias de Colombia or FARC, the new administration faces a growing Venezuelan refugee crisis and an upshot in narcotics production. Meanwhile, it appears that the U.S. has disengaged from the region in many ways, leaving a power vacuum that is being filled by Chinese and Russian influence and increased regional cooperation. The panel discussed these key issues and reflected on the future of U.S. relations with Latin America. Troika of Tyranny and Crisis in Venezuela: In the beginning of November 2018, the Trump administration laid out its intentions to confront the oppressive regimes of Cuba, Nicaragua, and Venezuela, calling it the “Troika of Tyranny,” harkening back to Cold War tropes. Trump had already set a policy aim to pull back from the Obama administration’s attempt to normalize relations with Cuba, but this new approach raises questions about whether a comprehensive regional strategy will follow. On the panel, Dr. Neumann addressed the catchy new phrase, and particularly the increasingly volatile crisis in Venezuela. She quipped that the Cold War “never really went away,” and many of the issues in Venezuela are more sophisticated moves from the Cuba’s Cold War playbook. Experts in the region are unsurprised that the fast-growing political crisis in Nicaragua is a more brutal version of Venezuela. All panelists agreed that Venezuela is a failed state—as President Nicolás Maduro has continued former President Chavez’s practices of economic mismanagement which has trickled down to the poor, who are now feeling the effects of the corruption—a veritable man-made humanitarian disaster. Ana explained how Venezuela is one of the best examples of squandering its economic potential. As one of the world’s largest proven oil reserves, the country was flush with oil money during the commodities boom in the 2000s. But rather than saving money and investing in oil infrastructure and development, Chavez used oil wealth as a “slush fund” for government corruption, and Maduro’s government has become “essentially a narco-dictatorship.” Currently, most of Venezuela’s oil wealth is used to pay off foreign debts, and in a country that has more oil than Saudi Arabia, there are regular black-outs, an extreme shortage of food and medicine, hyperinflation, and increasing authoritarian policies and social controls. Foreign interests are also preventing Venezuela from getting out from the situation—for example, Cuban intelligence services have stopped every coup attempt from within the military. The country is facing the biggest humanitarian crisis in the history of the hemisphere, with one in three Venezuelans planning to leave. One million Venezuelans have already settled in Colombia, and about 50,000 continue cross into Colombia daily. At this rate, the region will soon be facing a migration crisis double the size of the Syria’s, and with the same far-reaching effects. Increased migration to the European Union triggered a rise of right-wing populism, fracture of traditional political parties, and social upheaval—destabilizing forces that are already happening in Latin America. Though Colombia feels a sense of reciprocal responsibility after Venezuela was a safe-haven for migrants fleeing FARC violence, there has already been pushback, border skirmishes, and a rise in anti-immigrant rhetoric, which Dr. Neumann predicts will only grow. Migrant Caravan and Northern Triangle: Another area of focus on the panel was the Northern Triangle of El Salvador, Guatemala, and Honduras. According to Ana, these are countries that should be considered failed states—”thousands of people from these countries are willing to risk their lives and their children’s lives for a dangerous and uncertain journey to the U.S. because their countries haven’t provided them any other options or opportunities.” News about the current migrant caravan has saturated U.S. media, and the U.S. response has become a hotly politicized and debated issue. Over 5,000 U.S. troops were sent to the border, and other restrictive policies have limited the means to claim asylum in the United States. However, Ana argued that country of origin conditions are being ignored in the policy debate, and U.S. asylum policies should be “point Z in the conversation and point A has to be, ‘why are these countries not able to provide their people with at least a remotely dignified livelihood?’” Panelists agreed that migration is often discussed as a domestic issue, but it should be viewed as a foreign policy issue. International attention should focus on the caravan organizers, according to Ana. These are far-leftist political organizations that are “essentially weaponizing poor migrants and using them as political pawns.” It takes a well-mobilized and organized effort to move thousands of people through cartel terrain to the U.S. border—the caravan was not spontaneous. Ana learned on a recent trip to Mexico that the organizers are selling migrants a “false bill of goods,” promising that the United Nations will meet them with protection at the U.S. border, and not to trust the Mexican government’s offer of asylum, education, work, and housing. Therefore, a strong policy recommendation to the international community is to shift focus from just U.S. border policy and “go after the real boogeymen.” A question from the panel audience raised the idea of a Marshall Plan initiative in Latin America—to further bolster economic aid in the countries of migrants’ origin. However, the panel argued that this sort of policy prescription would just shift the burden of responsibility away from the Northern Triangle countries and further allow the international community to bail them out. A history of corruption has proven that increased development funds from the international community would more likely go towards building mansions for the elite than paving roads or feeding children. Ana concluded that “to really be humanitarian and compassionate is to not embolden the governments that are oppressing their people,” and political pressure should shift to the countries at the root of the migration problem. Mexico: Recent contentious elections in the region represent a general breakdown of the traditional political system. While Jair Messias Bolsonaro’s win in Brazil shifts the country to the far-right, AMLO’s populist ascension in Mexico is also “very Trumpian in a way,” according to Dr. Neumann. In Mexico, the concern is not so much that the country is veering to the left, but that AMLO may not respect government institutions and his broad mandate could lead to a consolidation of power. The Mexican people are strongly supportive of the third-party AMLO because they feel that the two-party system that came before him only served to enrich the elite and disenfranchise the rest of the country. But with the presidency, a super majority in congress, and a majority of state legislatures, there is a risk of a one-party unchecked system in Mexico. However, despite the risks and critics’ likening to former Venezuelan President Hugo Chavez, AMLO has promised to fight corruption and has a huge mandate to do so, which panelists agreed could present a once-in-a-lifetime opportunity. Colombia: The panel also discussed Colombia, which has been the United States’ largest foreign aid recipient in the region. While Colombia has done significant work in dealing with the demobilization of the FARC guerillas under the new peace deal, Christine argued that there were a lot of promises made by the Santos administration to the FARC and Colombian citizens which cannot be fulfilled by the new administration. Cocaine production has actually increased since the 2016 peace accords, mostly because Santos had conceded to end the U.S.-funded aerial coca eradication program. FARC dissidents have continued to attack military and civilian targets, and the Venezuelan refugee crisis is only increasing in size and urgency. Despite these challenges, Colombia has made great strides since recent decades of turmoil—the economy is doing well and it is an example of bright spot in the region. Christine pointed out that there is very little media highlighting the investment that the U.S. military and USAID have made successfully in the region, especially in Colombia—“the U.S. military is largely involved with civil affairs, community relations projects, and has actually done a great deal in supporting the Colombian military and military police in their fight against the bad actors there.” The U.S. must now decide how it can continue to support Colombia, which can in turn strengthen regional peace. U.S. Policy and External Engagement: The panelists acknowledged that the vacuum of U.S. engagement, trade, and investment in Latin America is being filled largely by China and Russia. It is no secret that China and Russia are vying for economic influence in the region. Dr. Neumann pointed out that China gives fewer conditions to their loans and often turns a blind eye to corruption, but they’re loans, not investments—”they don’t develop, they indebt.” This type of “debt diplomacy” is cause for concern, because it creates the capacity for social controls. However, as Christine argued, the U.S. can’t just tell it’s allies to say no when it comes to Chinese money, and countries in the region have to act in their own best interest. The looming question on the panel remained—what exactly is the United States goal in Latin America? In the past, it was always defined by defeating communism, and in some ways that still shapes the current administration’s rhetoric. However, the “end-game” for the U.S. in Latin America doesn’t seem to be clear. As Dante inquired, is U.S. strategy informed primarily by drugs, migration, and narrow interests with oil? Or are there broader interests? Ana argued that one of the biggest issues in answering this question is simply that the Trump administration has done a poor job communicating their policies and what exactly they’ve done in the region. When it comes to Venezuela, for example, “it seems like they have a myopic focus on oil, but that could not be further from the truth.” The U.S. has been extremely engaged in promoting human rights and democratic governance in country. The U.S. has sanctioned over 70 Venezuelan government officials in the past year and a half alone. The administration has also emboldened the region and our regional partners to finally speak up on these issues as well—the Colombians have issued reciprocal sanctions, and Panama is looking at how can they freeze illicit Venezuelan government assets. Therefore, much of the U.S. policy discussion for the Western Hemisphere could involve a shift in the narrative. Panelists agreed that the narrative that has been propagated successfully is that historically, U.S. policy in the region has been the source of much of the current turmoil, but they argue that is not quite the case. In fact, despite the changes and upheavals of the last 100 years of U.S. involvement, it was Spanish colonization that had a more dynamic and long-lasting role in shaping the region as it is today. Despite what seems to be U.S. disengagement and unclear policy in the region, panelists agreed that a silver lining has been the strengthened regional cooperation that has resulted from a more hands-off U.S. approach. The Pacific Alliance, for example, is a great free trade deal between Mexico, Peru, Colombia, and Chile, which Dr. Neumann predicts will soon expand. Economic integration is a key step for greater regional security cooperation, and hopefully puts the Western Hemisphere on the cusp of true prosperity. Abigail P. Gage is a U.S. Army Veteran. She recently earned a Master of Arts from Johns Hopkins SAIS. Previously, Abigail worked for the House Armed Services Committee and served on active duty in Iraq and Germany. She continues to serve today in the U.S. Army National Guard. Find her on Twitter @AbigailPGage. Divergent Options’ content does not contain information of an official nature nor does the content represent the official position of any government, any organization, or any group. Author and / or Article Point of View: Abigail P. Gage is a national security policy professional with defense experience in the military and on Capitol Hill. This paper is the result of her work with the #NatSecGirlSquad Conference edition, where she designed a panel exploring modern challenges faced by the IC. Background: When most people imagine life inside the intelligence community, they either picture high-paced, action-filled adventures, or the tedious life of a computer-bound analyst. In reality, the IC is constantly and simultaneously shaping U.S. international relations, responding to the ever-changing diplomatic environment around the globe. There is an unprecedented opportunity to harness new technology and digital communication platforms, including social media, to solve traditional problems, while also anticipating new issues before they become problems. Exploring these issues at #NatSecGirlSquad Conference edition, Erin Simpson, Director of Strategic Analysis at Northrop Grumman, led three panelists through a discussion on the modern IC: Paula Doyle, Professor at Georgetown Security Studies and former Associate Deputy Director of Operations, Central Intelligence Agency; Kirsten Gnipp, Chief, Homeland and Prevention Planning Group, Directorate of Strategic Operational Planning, National Counterterrorism Center; Cortney Weinbaum, Management Scientist, RAND Corporation. Issue #1: Optimization of Technology for the IC mission. Whether it is a question of using technology to enhance the IC’s recruitment cycle, improve information processing workflows, or uncover new threats, the IC can use technology to increase efficiency and accuracy. Technology enhances the IC’s recruitment cycle by enabling operations officers abroad to pre-identify individuals prime for targeting – using big data to find foreign assets who are accessible to local case officers. Once recruited, technology also allows the IC to validate people and their information. In this way, the IC is already successfully harnessing technology to improve productivity and accuracy in their work. On the other hand, the IC might be missing a major opportunity to create new, unclassified workflows – theoretically decreasing insider threat risk by distributing the open-source workforce away from centralized Sensitive Compartmented Information Facilities. Given the growing length of the security clearance process, reducing the number of people who have to be cleared because they work in a specific space, not because of the work they do, could lead to increased productivity and decrease costs for the taxpayer. It could also have the effect of increasing the pool of analysts – after all, does everyone want to live in the Washington DC commuting area? Despite these benefits, the IC will have significant cultural barriers to overcome to implement a distributed workforce, including reconsidering how they process human resources information such as time-cards. More significantly open-source intelligence work would have to be siphoned off, generating an addition silo operating in isolation from the rest of the IC. Finally, there are the ever-present questions: How do we discover if there is or is not a new threat? How do know if there is or is not a new organization? The IC was slow to recognize the threat posed by the emerging Afghan Taliban, which started out as a student group. Then the U.S. National Security apparatus collectively misunderstood the nature of the Islamic State until they were advancing rapidly through Iraq in the spring and summer of 2014. In both cases, the organizations were savvy about their use of digital media. The latter literally announced its moves play-by-play through social media, spreading its regime of terror like the wake before a storm. If the IC is to remain a player in today’s modern, digital environment, they too will have to master social media and information operations – both in the following and delivering. The opportunity for the IC to increase its social media and digital presence leads to a second issue, managing cyber operations in national security. This can take the form of overwhelming amounts of data or complicated legal limitations. Leading cyber operations during the height of the Iraq War, Paula Doyle recalled rarely, if ever, having a name to match the large data sets they tracked – and yet her team was confident that they were tracking enemy operations. They found, over time and with increasingly refined the data sets that they could positively identify a target even without a name. The IC had to culturally adjust, to learn to manage without names. Historically, targets would be named with home and work addresses. Now it was the opposite. A target was no longer a name, the team might never know “who” it was, but had an email address or cell phone to target and track. This increasing power of cyber operations is not without limits or risks. Boundaries do not exist on the on the world-wide internet as they do the geographic globe. Most intelligence agencies, with rare exception, are barred from domestic intelligence work. When it comes to running sources and traditional, physical collection techniques, these guidelines work well. After all, most were created in a pre-cyber era. But when faced with technology and national security efforts domestically, members of the IC have to consider ethical and legal questions, ensuring they respect national borders on a platform that does not have clear boundaries. The biggest limitation could be considered consent. For example, Virginia uses drive-by boxes to test vehicle emission. This is a form of government surveillance, but people consent because it is easier than going for an inspection at a pre-designated location. As government surveillance expands, some experts worry about a slippery slope, envisioning a world where the psychological thriller Minority Report could become a reality. Digital data companies are already building comprehensive online pictures of each internet user: who she is, what he wants. We give away much of our privacy to the private sector giants like Amazon and Google. How much of our privacy will we eventually grant to the government? Furthermore, if we can already surmise, through social media, emails, or even google searches, what an individual is thinking about doing, how long will it be before the IC, law-enforcement, or Google figures out how to predict what people will do. Then a new question arises: can the government ethically pull information on individuals to predict and prevent violence. Historically this is a nation-wide Catch-22: when the government is known to invade our privacy, Americans demand a rollback of intelligence programs. But if the government fails to uncover and prevent an attack, we demand answers to the perceived intelligence failure. Background: On November 15, 2018, #NatSecGirlSquad hosted its first all-day conference at the International Institute for Strategic Studies (IISS)-Americas headquarters in Washington, DC. As a membership organization, #NatSecGirlSquad was founded by Maggie Feldman-Piltch to foster “competent diversity across the national security apparatus.” This event represents the core of #NatSecGirlSquad: holding purposeful dialogues to disentangle complex issues and provide solutions to policy concerns that are often overlooked in other spaces. #NatSecGirlSquad was proud to host this conference with the help from its sponsors: IISS, Divergent Options, Georgetown University’s School of Foreign Service, the Center for New American Security, the Yale Jackson Institute for Global Affairs, GirlSecurity, and additional support from the International Counterterrorism Youth Network. The purpose of this White Paper is to concisely present the ideas and topics discussed during the first panel, “Communicating with Non-Experts.” This panel was moderated by Quinta Jurecic, the Managing Editor of Lawfare. Commentary was provided by Beverly Kirk, the director for outreach in the CSIS International Security Program and director of the CSIS Smart Women, Smart Power Initiative; Valerie Insinna, air warfare reporter for Defense News; and Phil Walter, founder of Divergent Options, a non-politically aligned national security website that does not conduct political activities. Executive Summary: National security is a difficult subject to parse even when the audience also works in the field. Each sector – or even department – has unique jargon and objectives; each person has their own position, interests, and styles of learning. When talking to individuals outside of the field, the challenges become tenfold. Despite its complexities, national security is too vital an area to ignore or communicate poorly. To kick off the conference, this first panel allowed speakers the space to reflect on the challenges that arise when trying to talk to non-experts. Each panelist agreed that understanding the audience and the briefing objective are essential to conveying information. Phil Walter emphasized that one should identify not only who the audience is, but the means by which they learn. Beverly Kirk of CSIS found that the best way to engage an audience is to meet them where they already are—namely, social media. She noted that the trick to translating complex information is to “simplify without dumbing down” or patronizing the audience, which can sometimes have a negative effect. Valerie Insinna of Defense News added that building credibility is one way to build trust among an ambivalent audience, and one crucial way to do that is to acknowledge mistakes. Another element echoed among panelists was the resistance to acronyms and industry jargon. As Walter pointed out, Beltway industries have developed strong tribal instincts, and the usage of jargon can be an active gatekeeping mechanism. Phil Walter noted that this can be a form of gatekeeping between the various “tribes” of DC, noting that various governmental departments have a tendency to use different phrases for the same issue. At the same time, Jurecic noted that jargon can also be a quick way for someone to indicate expertise in a subject, thereby gaining trust. However, overuse can alienate an unfamiliar audience. There is a real danger to assuming common knowledge when speaking with people across industries—or even government departments. Walter advises against “throwing around” acronyms, and relying instead on common life experiences to help bridge gaps. A twenty-minute discussion launched from questions posed by the moderator and the audience, drilling into the particulars of the opening remarks. Opening Remarks: Quinta Jurecic set the tone of the conversation by reflecting on the current moment and setting the stakes. There are two opposing, but equally strong trends now—a deepening mistrust towards Washington, and a growing appetite for knowledge from Washington. As the Managing Editor of Lawfare, Jurecic noticed that her audience had grown from attracting those already familiar with national security to include people from outside the field. These trends can make the already-difficult task of decoding national security to non-experts a near-Herculean endeavor. There is a balance to strike between asserting one’s expertise and shunning those who are less familiar with DC’s lingua franca of acronyms. The essence of Walter’s remarks rested in his second point. There are elements outside of the speaker’s control that must be identified and mitigated when preparing the briefing. One in particular is organizational culture, specifically the individual values and incentive structures. The various branches within the constellation of the United States federal government have different expectations and objectives; each contractor or other mediary have their own forms and figures to adhere to. For instance, members of the legislature must be cognizant of their political relationships, at-home elections, and committee budgets—restrictions that Defense Department personnel are less encumbered by. With these different methods of packaging the message, the idea is to draw out the essence of those reports to inform and to entice the audience to seek out the original text. “Most people do not take the time, whether they have it or not, to read a twenty-five or thirty page white paper,” Kirk said frankly. She told conference attendees about a video her department at CSIS put together on the threat posed by North Korea. It distilled the complex and controversial issue into maps and graphics and “made it all make sense.” While the visuals might not be something often considered in communications, especially when the default might be to explain the situation in words, it is crucial to modern messaging, because it helps create a story. As a journalist, Valerie Insinna speaks to quite a general audience. When asked how she walks the line between writing a piece that is understandable to a general audience, while also informing the expert who seeks context and background, she admitted it was a frequent challenge. Her advice was three-fold: don’t rely on jargon, tell a story, and try to grab people’s interest. Discussion: To respond to their comments, Jurecic asked the panel how they might make an idea accessible without losing its nuances. Kirk responded with a variety of starting points. She said that one must approach such conversations- be they in person or on paper- with the enthusiasm and conciseness as though one were speaking with their best friend. Begin with, “You won’t believe what happened today!” as that will help identify the discussion’s key points and framing. Like the best friend, one should begin by speaking to the person who doesn’t understand the issues, and then returning to the narrative to weave in critical and complicated factors. She cautioned, though, that reaching simplicity is not a simple task, and remains a critical skills despite being the hardest part of the craft. Turning then to the audience, the panelists took a number of questions and used the opportunity to build on their earlier comments. One audience member, identifying as an employee at the Department of Defense, questioned the advice of the panel to explain information as simply as possible. Her issue sparked a larger conversation about the line between communicating concisely and “dumbing down” complex information. Sometimes, though, the issue with communication is not necessarily a disagreement over facts or partisan issues, but can stem from a deep distrust of the national security establishment. Military affairs and security topics are undoubtedly divisive, and it can be difficult to talk about these issues with those uncomfortable or hostile to them. Phil Walter proposed practical measures—taking the effort to diagnose elements of national security that someone might not be familiar or comfortable with. The ultimate goal, he said, is to find common ground, however minute it may be. Kirk acknowledged that speaking to an audience entrenched in a set of ideas is one of the greatest challenges any outlet faces today. She admitted that she has yet to figure out a way to “break through that wall” of bias, but she advised that the best thing to do is to “find people where they are.” More and more, information is bifurcated into silos to such an extent that, even when people are getting the right facts, it can be a challenge to get them to trust it. The best way to combat preconceived bias, she argued, is to stick to the facts and the data. Echoing Insinna’s earlier comments, she also advised that if the information isn’t immediately at hand, it’s better to say so. Transparency builds trust, which in turn builds accountability. A student from the George Washington University asked for the panel’s endorsements for good national security sources. Kirk recommended her CSIS colleagues Dr. Kathleen Hicks and Heather Conley, especially the book Conley co-wrote with James Mina, Martin Vladimirov, and Ruslan Stefanov, The Kremlin Playbook. She also plugged anything produced by the International Institute for Strategic Studies. Insinna recommended the Bombshell podcast, and to read Defense media. Walter offered Rational Security, and noted how much he enjoyed the mix of jovialness between the hosts and the seriousness of their topics. Jurecic plugged the Lawfare blog and podcast as well. In closing, one audience member lamented that they didn’t feel that it was enough to make audiences understand an issue, but that they wanted to motivate them to do something about it. For content producers, researchers, and members of the media, Jurecic reminded that no single article or podcast episode will be the silver bullet for an idea that you’re pushing. The best thing is to keep pushing out these ideas, knowing that “they’ll return with a vengeance.” Keep getting good stuff out there, she advised. Takeaways: This panel offered an in-depth look at the challenges and methods by which people in national security are working communicate to ever-wider audiences. While the current moment has made it more difficult to have conversations with these audiences, to impart knowledge and to gain trust, there remain five key points to remember when preparing a briefing. The first is to tell a story, as it is easier for most audiences to process narrative threads than raw data. Second, to understand how the audience is approaching the issue, and to meet them where they are, whether on social media or in the conference room. Third, when errors happen—and they will—it is best to admit them and to make open and transparent course corrections. This is where authenticity and trust are built-in an otherwise skeptical audience. Fourth, write simply, but do not condescend the audience. Fifth and finally, the panels urged those in attendance to keep making good content. #NatSecGirlSquad is a membership organization for people committed to competent diversity across the national security apparatus, with an emphasis on defense and security. Focused on building expertise among women, confidence in that expertise, and creating systems to institutionalize success, #NatSecGirlSquad uses social media, traditional professional development programming methods, and informal engagement opportunities to support its members. On November 15, 2018, #NatSecGirlSquad will hold a conference at the Washington D.C. office of the International Institute of Strategic Studies and Divergent Options is proud to be a partner for this event. The evolving conference agenda can be viewed by clicking here. More information about the conference, including how #NatSecGirlSquad Members can purchase tickets early and non-members can purchase general admission tickets on October 22, can be viewed by clicking here. 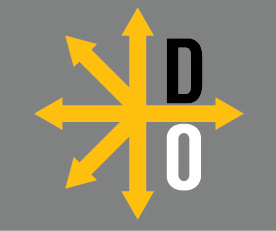 Likely of interest to fans of Divergent Options is that our Founder, Phil Walter, will be giving opening remarks at the conference and participating in the Communicating National Security Issues to Non-Experts discussion panel. We are very excited about this conference, have smiled broadly witnessing the momentum that has been building behind it, and look forward to seeing you there. Buy your tickets soon as there is limited physical space and the tickets are selling at the rapid rate!